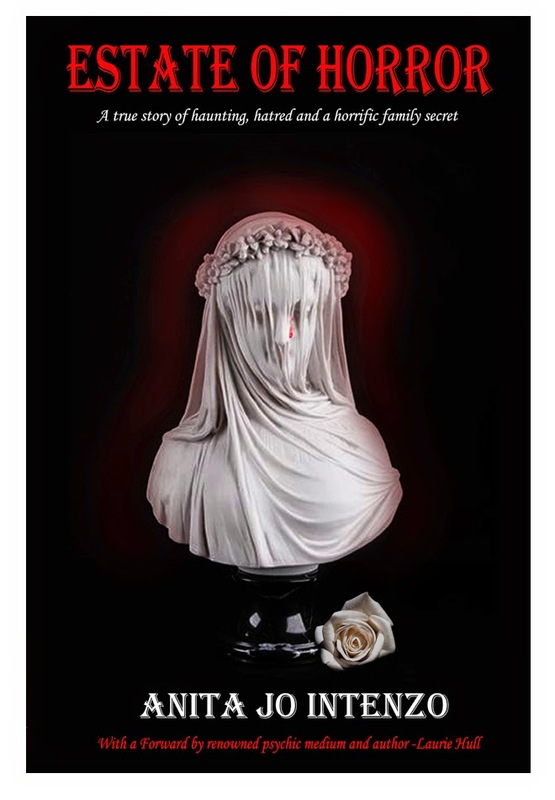 Anita Jo Intenzo-Haunted Author: POLTERGEISTS CLEAN UP! 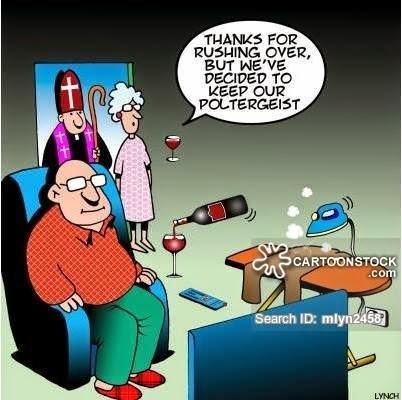 I saw this cartoon on Queen Mary Paranormal "Beyond the Veil" posted by Jennifer Tyler and had the inspiration for my blog this week! Thanks for posting this Jennifer! This is very funny but rang true with me. I was reminded of the time that my son Chris and I had just such a funny experience with poltergeists while cleaning out my deceased friend Paul's estate.This was among the many incidents that occurred while being the executor of my friend's estate that I wrote a book, Estate of Horror. It was in July 4th weekend 2009 when we were confronted with something so crazy and unusual that to this day it remains unexplained. The basement was well on its way to being cleared out - which had been no easy feat - but there were still some small pockets of clutter and boxes on the shelves to go through. I decided we would only spend an hour in the basement and spend the rest of the day upstairs. We had the Purple Heart Charity coming the next day, Friday, and we planned to give them forty boxes of items, the maximum you could donate at one time. (We don't know if this is a face that we captured among the books. It would be a likely place for my friend's spirit to appear if it were an anomaly as he was a huge book collector. What is strange is that it does resemble my deceased friend). We made our way into the basement and Chris shook his head. “I was hoping some white wizard would have waived his magic staff and all the rest of this would be cleared out,” he said. “No such luck, Chris, Gandolf has better things to do. We’ll have to do it the mortal way and get our hands dirty. Oh, man, look at this place!” I walked and saw slides around the room in clusters, all over the floor. 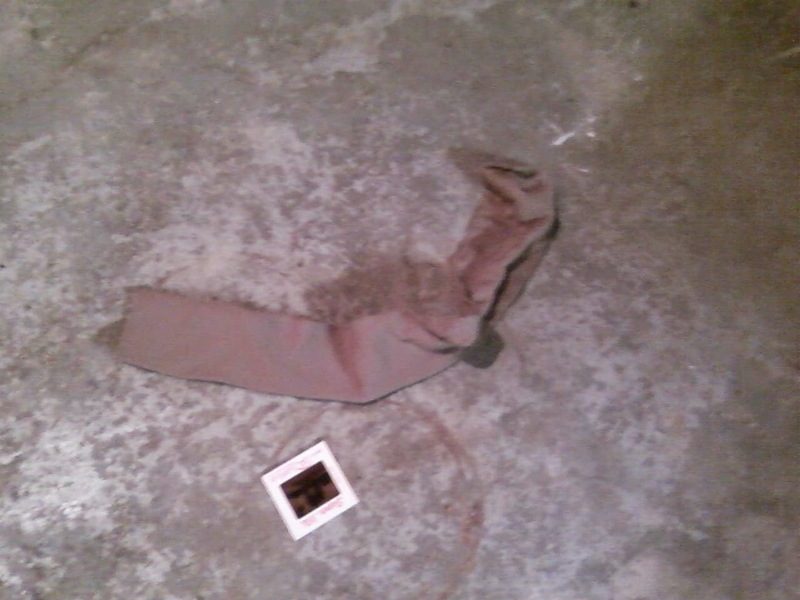 Although there had been a few things left on the floor, I knew that Chris and I hadn’t left it that way. 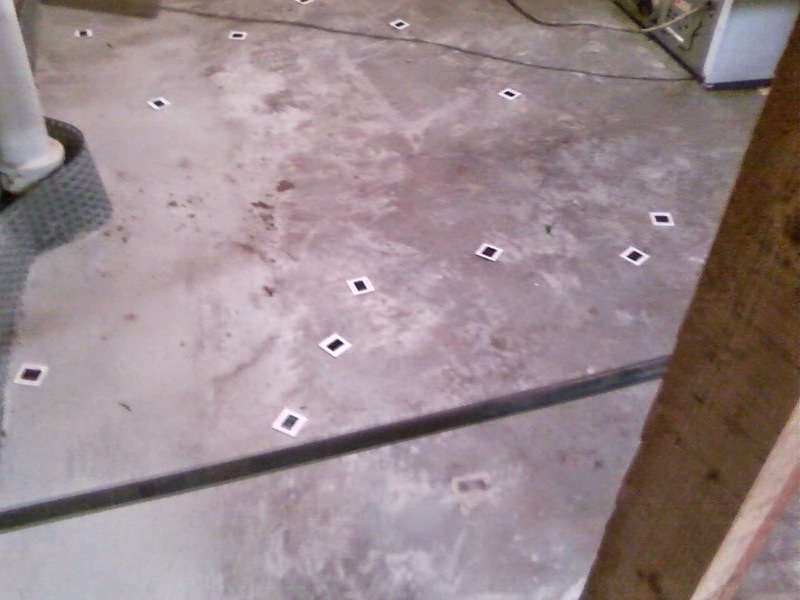 Chris surveyed the basement and saw a trail of slides leading to the sump pump drain. We wanted to be done as soon as possible so we could be upstairs the rest of the day. Chris helped me pack some boxes of books that they library didn’t want. When he picked up a large book from a shelf, some 8”x 10” black and white photos fell out from between the pages. “Yes, he was,” I answered. Paul had a long history of modeling that started in college. Shortly before his death, he told me that he had posed for a photographer friend of his for some new portrait shots and did some modeling for an art class. “Best shape of his life and he dies of a heart attack. Go figure.” I couldn’t get over the irony of it all. Just then, a cassette tape flew through the air and hit the wooden magazine rack near Mr. Jaeger’s workbench. We hadn’t brought the tape recorder because we planned to get the work done and leave. Now I regretted that we hadn’t. There was an eerie silence. Nothing happened. “Ok, well we have to get back to work,” I shouted to no one in particular. This is nuts. I thought. Bang! A slide hit the metal cabinet. “I’m getting pretty tired of picking up after you,” I said. Bang! Something hit the cement floor opposite from us. 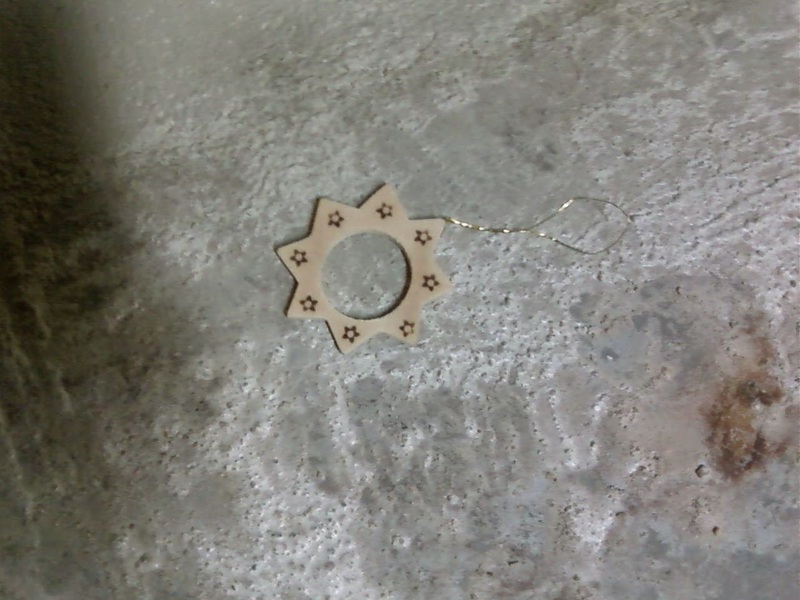 “What is this? Do you become brats in the afterlife?” I felt like I was dealing with some mischievous three-year-old. 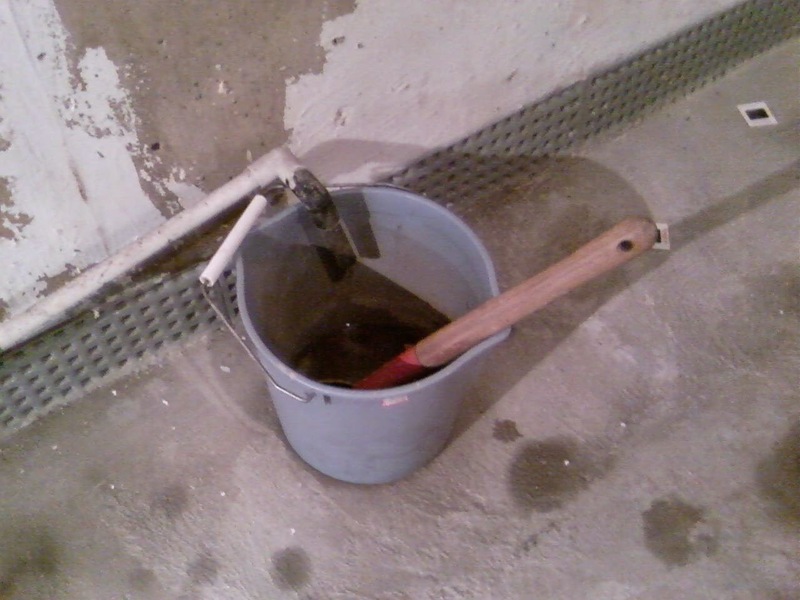 We walked over to the bucket and saw a long-handled garden shovel inside it. “How the hell did it get in there?” Chris asked. 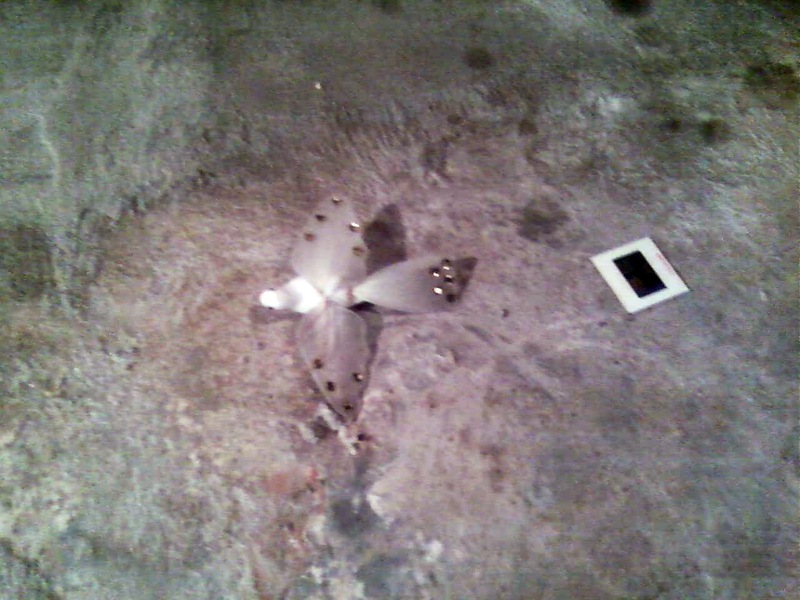 (This was an unnerving discovery seeing such a heavy object tossed into the bucket by the poltergeist). I looked at him and grinned sarcastically. “Are you forgetting that we’re in the frigging fourth dimension of the Twilight Zone?” I asked. We picked up a few boxes to take upstairs when suddenly we noticed something different by the staircase. Every single slide and object that had been lying on the floor was gone. “Are you freaking kidding me?” Chris exclaimed. “Oh my God, Chris. Look!” I pointed to the shelf near the staircase. The slides were now neatly stacked, one on top of the other, in three piles. “No freaken’ way,” Chris said shaking his head. We put the boxes down and looked around. 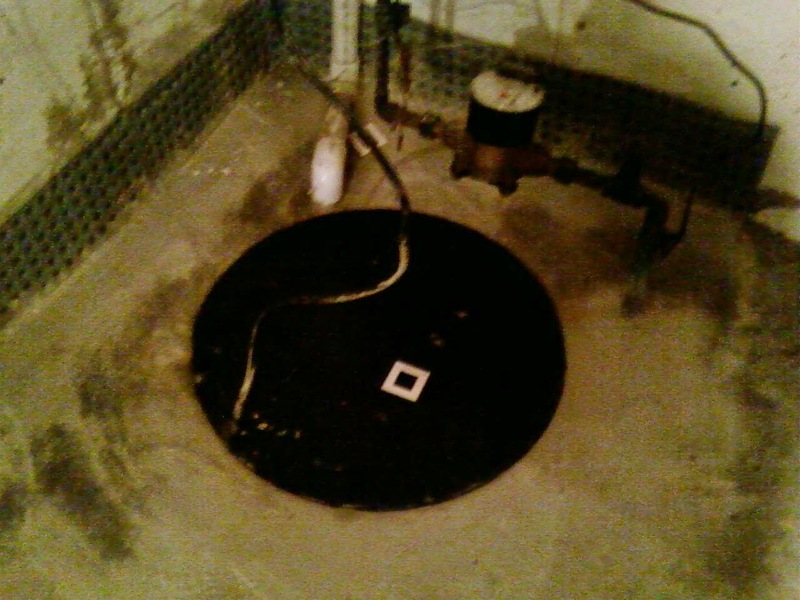 Everything cleared off the floor towards the sump pump, too. It was astonishing! “I think you’re pushing it, Mom,” Chris said as he made his way upstairs again. A few minutes later we returned to the basement and were talking about what to finish bringing up, when we stopped in our tracks. 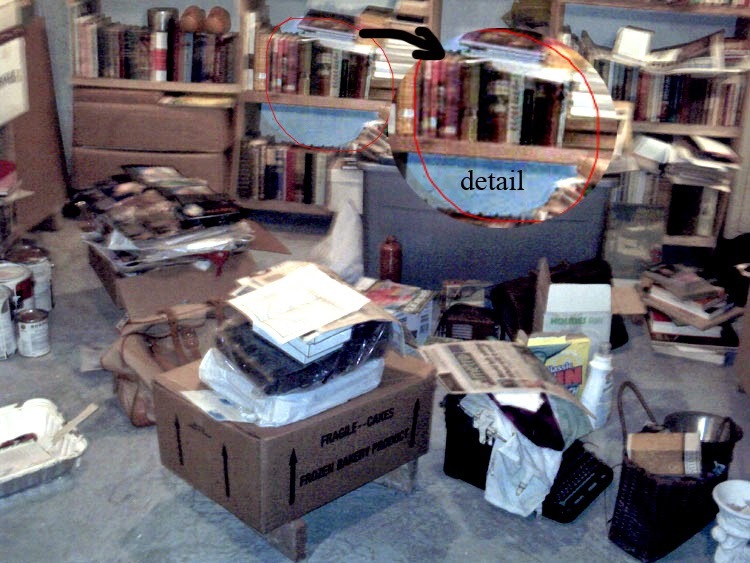 Every single item that had covered the floor near the wardrobe closets was gone. I looked around and saw some of the objects on the Franklin stove—a blue hanger, a box of tissue and a Christmas ornament in the shape of a dove. On the short metal table near the closets, the slides were neatly stacked in piles. I couldn’t believe what I was seeing and started to laugh. Chris pulled off his Phillies baseball cap and scratched his head. 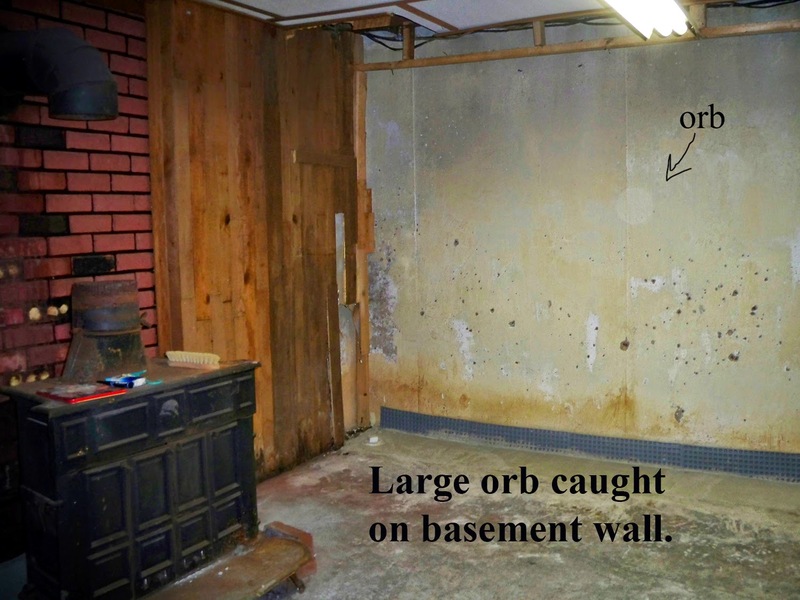 (I know many are sensitive about mentioning "orbs" but I wanted to include this photo to show the area where the poltergeist activity had occurred). I was dumbfounded. They had heard me and did what I asked. “No one’s ever going to believe this,” I said. As with writing any type of paranormal book, there are the skeptics questioning that these things don't really happen. My goal in writing my book was to share my experience with others who identify with this and have also lived through their own supernatural phenomenon. It is not my goal in life to convert skeptics. They have their opinions and I have mine.I only ask that people remain open minded and not readily dismiss what they do not understand. Now I wonder if the ghosts do windows?